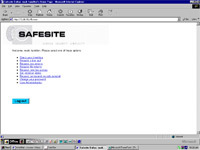 Safesite provides locked, secure containers for the storage of your confidential material while awaiting destruction. 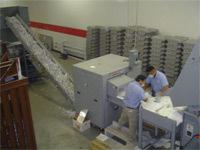 The locked containers are picked up by Safesite and placed in a secure document shredding system. Safesite’s locked cabinets are attractive and fit in well with all office environments. Confidential documents are inserted through the front loading slot which prevents unwanted access once documents have been placed into the container. In addition to paper document shredding services, Safesite provides secure destruction services for X-Rays, Computer Hard Drives, CD’s, and Magnetic Media Tapes.